Last week, I talked about coming to a big decision: I’m going to get a PS4. There were a multitude of reasons why I’m going with Sony’s console this generation. But the biggest reason was because of the exclusive games. There was one game in particular that holds sway over me. That game is Capcom’s upcoming fighter, Street Fighter V.
It may seem odd that, of all the games that are exclusive for Sony’s new console, such as Until Dawn, The Last Guardian and the next Uncharted game, it’s a fighting game that pretty much cinched my decision. I can’t help it; I fell in love with Street Fighter IV when I first tried it out. I know I’m not terribly good at it but I don’t care. I just have so much fun playing the game! I even enjoy listening to Indestructible, Street Fighter IV’s original cheesy theme song! Now, if Street Fighter V was going to be a multiplatform game like the 4th installment, I may have actually gone with getting an Xbox One, despite the extremely steep price the system has over here. But, with probably what is going to be the game I will be playing a lot of on the PS4, I have to go with Sony. That’s how much I love Street Fighter! Anyway, with all of that being said, I still have to play the game! I know Street Fighter V isn’t out yet but the beta version of the game is already out there. And, since I don’t have a PS4 yet, I wasn’t able to pre-order the game to get into the beta. However, since I’m really interested in what’s the game going to be like, I’ve been going on YouTube and looking at videos here and there. I’ve also been reading up a lot about the game as well. And, right now, I do have some thoughts about how the game seems to be shaping up. First, I gotta talk about my main character in Street Fighter IV. I’m talking about the claw wielding Spanish ninja, Vega. I was delighted that the agile pretty boy was going to be part of the first line of characters for Street Fighter V. The guy didn’t get too much love in Street Fighter IV! I don’t really see a lot of people maining him! I was pretty sure he was going to be excluded but, there he was, with his own trailer! But, from what I’ve seen and read about the character, Capcom is radically changing the character. For one, he now can “sheath” his trademark claw and a lot of his moves will change depending if he has it equipped or now. They also kind of removed his backflips; you can still do them but you have to be blocking in order to do it. But the biggest change is that Vega isn’t going to be a “charge” character anymore! He’s going to be a full motion-based character, which means his special moves come out using quarter-circle motions and such. I’m actually all of a sudden on the fence if I’ll be picking him in Street Fighter V because of the last reason. I enjoy using the character because he’s a charge character! I’ve tried using the other characters that use quarter-circle and half-circle motions and I have a difficult time executing them on the PS3 controller. I have a much easier time rocking the analog stick left to right or down to up to perform special attacks. I know I’m in the minority here and a lot of people may be switching to Vega as he won’t need to charge up to attack. But I’m a little miffed about this development. Not a charge motion in sight. I’m also kind of concerned at how much damage and how quick it is to stun/dizzy someone. I’ve watched a lot of YouTube videos and I just see the life meter drain away so fast after just a couple of hard attacks. The Stun meter also seems to fill up pretty quickly as well. I hope Capcom is still tweaking this but, if this is the case, I guess they’re trying to make matches finish quicker. I do think it needlessly punish the players that don’t rely on pure offense. But, on the other hand, it will teach the defensive players to block better as well. So those are my primary concerns with Street Fighter V so far. But I think my impressions are still mostly positive. The graphical style may take some getting used to since a lot of the characters kinda look funny. But everything seems to move really smoothly. The animations are pretty good and I like it when one guy gets hit, you can really see them feel it! I do wish the faces were much better looking though! 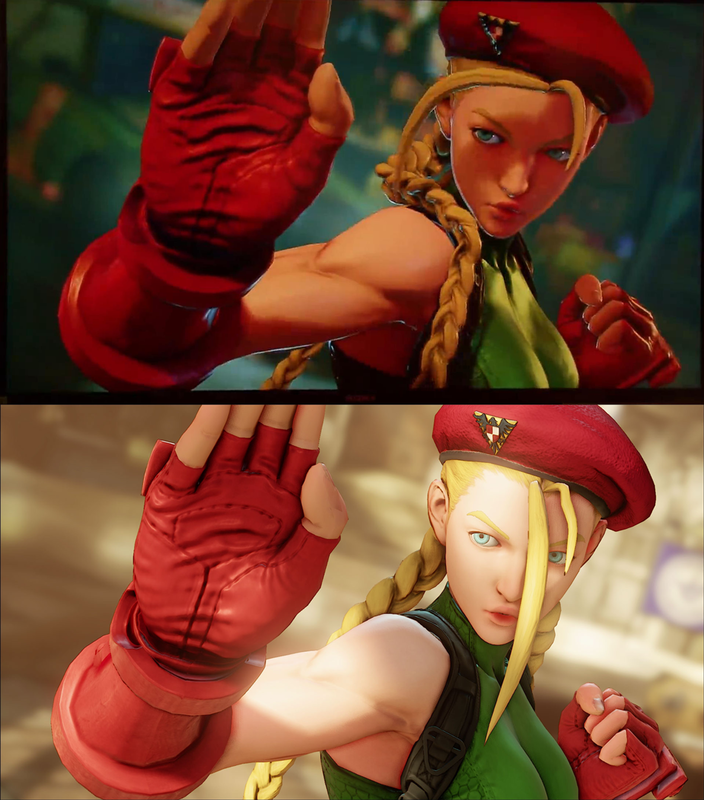 Cammy’s getting cuter with each new beta test, though. 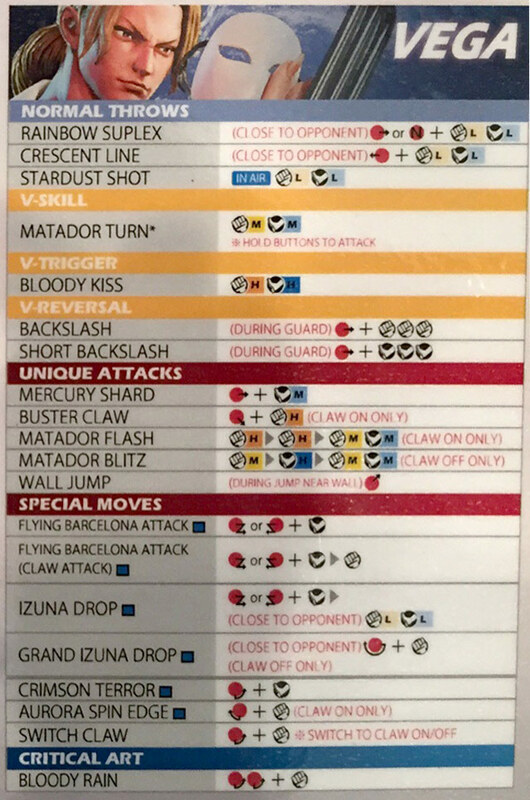 I’m also glad Street Fighter V’s battle system is a little more simpler than Street Fighter IV. I do like the Focus Attack system but the instant they started adding new stuff like Red Focuses, it made the game a little too crazy! It also made it painfully obvious that Street Fighter IV was meant to be played on a arcade stick. I mean, how do you expect a pad player to wrap their fingers around the controller and press the Jab, Strong and Forward attack buttons in mid battle? Replacing the Focus Attack system is a new meter called the V-Gauge. You can fill up this meter by performing your characters V-Skill, a unique attack for each character. You can then use this meter (if you have enough bars) to counterattack while blocking using a V-Reversal. Or activate your character’s V-Skill. I do think the game is suffering from “meter overload” with the life, stun, super and now the V-Gauge to take into account. But I guess it’s something that sound more complicated in my head rather than in practice. Honestly, I can’t wait to actually play Street Fighter V. I’m not sure if I’ll be able to get into the Beta when I finally do get my new brand-spanking new PS4 in a couple of months. But, when I do, well, I’ve been saving up my money so that I’ll be able to pre-order Street Fighter V! I can’t help but be obsessed with the game, which is why I don’t try to attack others who are obsessed with other things, even if it does seem like nonsense. This is precisely why I’m going to defend something I wouldn’t think I would defend: AlDub. I hate it but I can’t hate the people for loving it. I’ll explain my thoughts… next week! What’s your take on Street Fighter V? Let me know what they are in the comments below!